On the 6th of May this year’s FITCuba will commence, once again held at the Morro Cabaña Castle in Havana Cuba, where it has been held for the past 9 years. 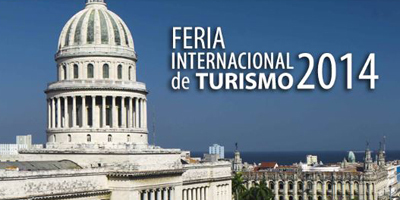 Cuba’s annual MICE event is chaired by the top brass of the Ministry of Tourism or MINTUR. The Cuban tourism convention is designed to promote new tourism offers and remind international travel partners of Cuba’s leisure attractions. The tourism conference is also utilized as a forum to introduce Cuba’s upcoming net rates to international travel professionals for the forthcoming summer season. Besides Cuba’s hospitality sector, travel providers; CubaTur, Havanatur, Cubanacan and Transtur will entertain potential international travel wholesale companies who have expressed an interest in selling Cuba’s varied tourism services. The notable difference with this year’s event is the inaugural ceremony introduction of 20 brand new destination focused websites from the Travelucion division of online digital media giant Digital Panorama S.A. The websites are part of larger collection of 52 web properties, designated for future roll out by the company over the next few months. After an 8 year hiatus from developing new Cuba related websites, Deepak Nayyar Jagdish, head of the Nagpur technical team, outlined this latest media rollout – “we had these domain names collecting digital dust since the late 90s, so it was decided to hand them over to some of our junior programmers to get them online. The result is simple to use websites incorporating current trends. These include price comparisons for Cuban hotels across 16 currencies, non pre-payable hotel stays, location specific car rental, flights, excursions & tours and casa particular (homestay) bookings, plus of course, the customary broad-spectrum geographic information”. 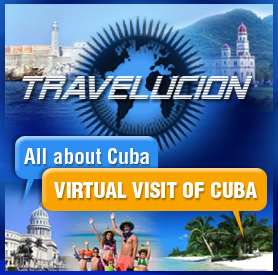 I asked Deepak why the Travelucion brand had been absent from the Cuba digital media spotlight for so long – “We already have an extensive array of Multilanguage Cuba related websites, I’d guess around 125 web properties from our legacy portfolio. Over the past few years our focus has been on our country based networks, known internally as the – VIP Brand – . 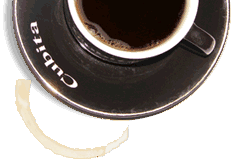 In June 2013, our website sales division for Cuba – CubaDomains.com – asked us to develop some of these properties for the premium domain market, so we handed them over to our interns and juniors for development”. This year’s honorary nation at FITCuba is France. Each year a specific country is selected to lead the event. France’s designation may be associated with the April visit by the French Foreign Minster, Laurent Fabius. France is to head the talks between Cuba and the EU to reboot the stalled relations between Europe and Cuba.